A near-future dystopia where facts are malleable, changed at whim by an oppressive government. An incurious citizenry, manipulated by false information spread via vast communications network, passions stoked by cynical fear mongering. A society where intellectualism has been devalued and creative expression reclassified as a felony. Michael B. Jordan memes. No, I’m not talking about the actual real world as it currently exists. I’m talking about the world in the late Ray Bradbury’s iconic (and eerily prescient) sci-fi novel Fahrenheit 451. The book—about a fallen future world where books are illegal and the conscientious reawakening of one of the “firemen” whose job it is to burn them—was first published in 1953 and was swiftly adapted for a variety of medium, including as François Truffaut’s sole English-language film, in 1966. Bradbury’s landmark of speculative fiction returns to screens this Sunday, in a new HBO Films adaptation from writer/director Ramin Bahrani (Chop Shop, 99 Homes) and starring Michael B. Jordan as Montag, the disillusioned totalitarian storm trooper who rediscovers his soul to join a renegade group of pro-book guerillas fighting for the survival of the written word. The film also stars Michael Shannon and Sofia Boutella, among others. 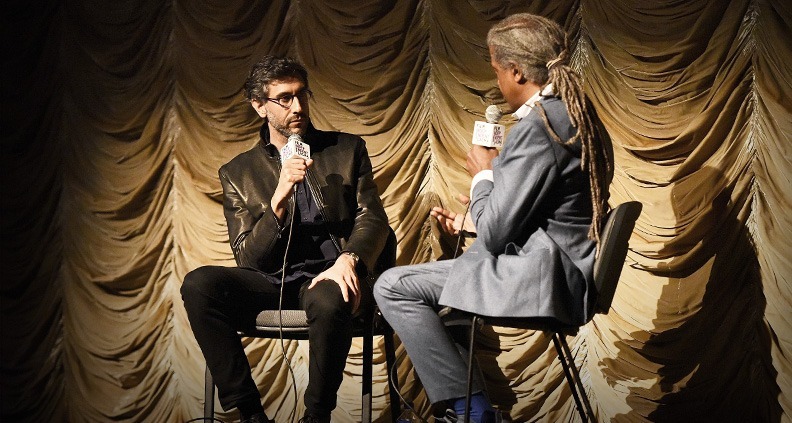 On May 3, Bahrani (a multiple-time Film Independent Spirit Award nominee) debuted the film at a special Film Independent at LACMA event two weeks before its “official” premiere at Cannes. 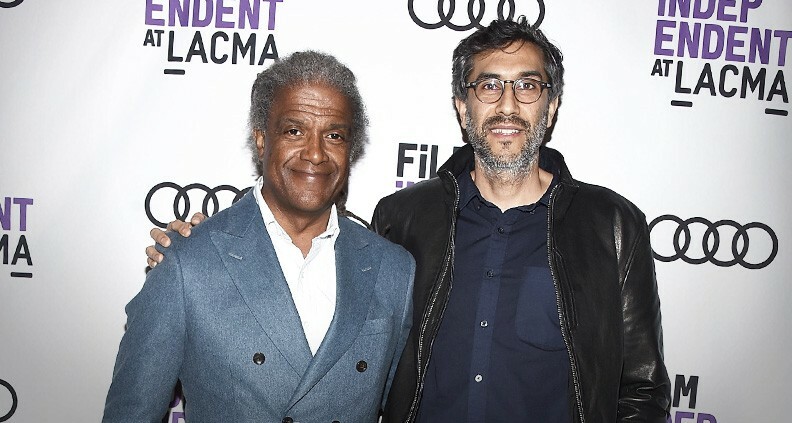 Afterwards, he sat down with program curator Elvis Mitchell to discuss the adaptation—his most ambitious film to date. “Unfortunately so much of science fiction envisions a world that isn’t all that inclusive,” observed the Iranian-American Bahrani. In original novel, all of the books Bradbury references are the work of white male authors. For his take, Bahrani added books from authors including Zadie Smith, Toni Morrison and Emily Dickinson. ‘I think it’s a great honor to have your book burned,” he joked. Such inclusion likewise extended to the film’s cast, which stars Michael B. Jordan (also an executive producer on the film) in the lead role as the previously-read-as-white Montag and Algerian actress Sofia Boutella as Clarisse, the alluring pro-book rebel who initially sets off Montag’s reawakening. 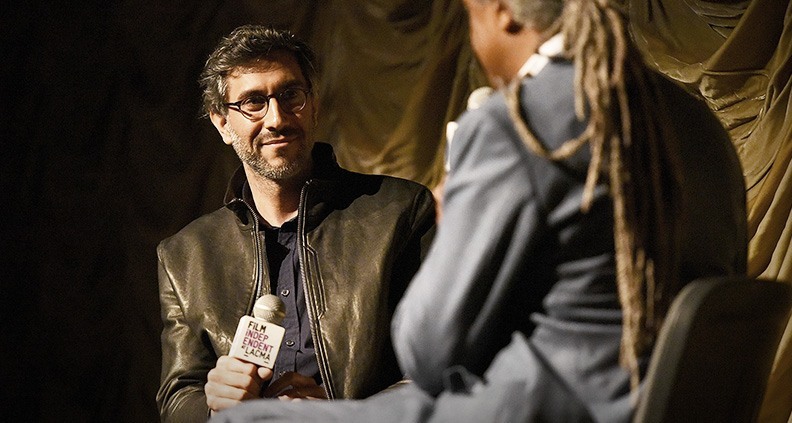 Bahrani first met with Jordan to discuss the project during one of the actor’s brief breaks in filming Black Panther. “The impression I got in interviews was that he was kind and ambitious,” said the filmmaker. But when Jordan showed up to their initial lunch, Bahrani described him as being “extremely rude”—which gave the director second thoughts. Later, Jordan called to apologize, revealing that he’d been trying to remain in character as the gruff Marvel villain Killmonger. After that bumpy start, Bahrani and Jordan got on swimmingly. “One of the things that was important to him was that he hoped he could bring something.” Bahrani told him not to worry. “If you’re not going to bring [yourself] to this, I don’t want to work with you,” he said. One no-brainer was casting Michael Shannon, who plays Beatty, Montag’s conflicted fire chief mentor and the film’s de facto antagonist. The actor and filmmaker had hit it off during the making of 99 Homes, Bhrani’s previous film. The filmmaker also expanded the list of banned materials in Fahrenheit’s future-world to include objects like records and films. “I always grew up in a house with books and movies—I always liked books more, sorry,” Bahrani laughed. From a practical standpoint, the list of titles included in the film depended largely on what permissions could be obtained for the books’ cover art. And when the book covers couldn’t be cleared, “the art department turned into a makeshift publishing company” to create plausible fake covers, Bahrani said. For the film the production did burn actual books, which Bahrani said was difficult while also admitting there was something “hypnotic” about the act. Meanwhile, Bahrani is dreaming bigger than ever. 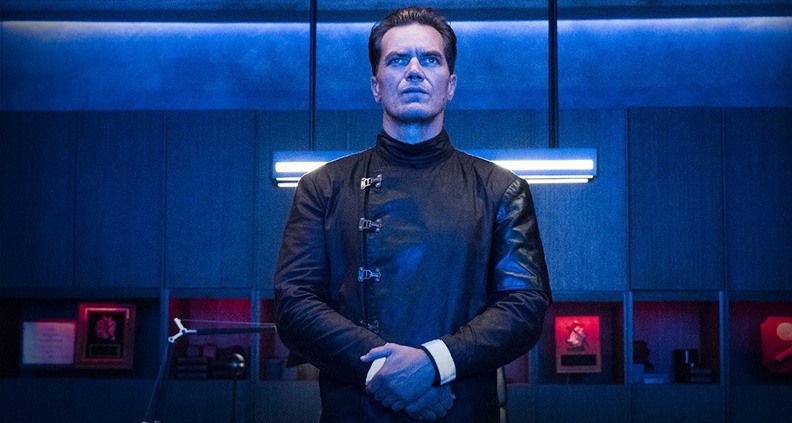 Fahrenheit 451 premieres this Sunday on HBO. Bahrani’s previous films include Man Push Cart, Chop Shop, Goodbye Solo, At Any Price and 99 Homes.